Carl Gustav von Rosen can with some justification be said to be one of the 20'th centuries better known lateral thinkers. His life had was pockmarked by all manner of unusual undertakings. He had dropped bombs on Stalin's Red army from a DC-2 airliner during the Winter War in Finland, he helped build the Ethiopian air-force from scratch and flew charter flights in the war torn Congo where he escaped by lucky circumstance from being (allegedly) murdered 1) along with UN Secretary General Dag Hammerskjöld when the his Transair charter plane crashed under mysterious circumstances. In 1968 von Rosen had gotten a job as chief pilot for the airline Transair Sweden. On the 11 of August that year von Rosen was given what looked like just another routine assignment. A Danish priest, had chartered von Rosens DC-7B to fly a cargo of Medical supplies into the Portuguese colony of Sao Tomei. 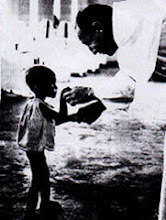 Once there he was met by by Father Byrne another member of the Church Aid organizations that were at the time sending aid shipments into the newly formed Republic of Biafra. Von Rosens original intent had only been to deliver the cargo of his DC-7B as far as Sao Tomei. The Curch Aid organization's leader had convinced a soft hearted gun runner named Hank Warton, who handled most of the arms shipments for the Biafran government, to fly some aid supplies into Biafra. But when Wartons mercenaries aborted a flight into Biafra Von Rosen began to toy with the idea of flying the Transair DC-7B all the way into Biafra. Father Byrne quickly took von Rosen at his word and on the night of 11/12 of August von Rosen flew into the Biafran airstrip at Uli along with his copilot, two mercenary pilots and another priest Father Billy Butler who knew the Biafrans well and could vouch for the crew. 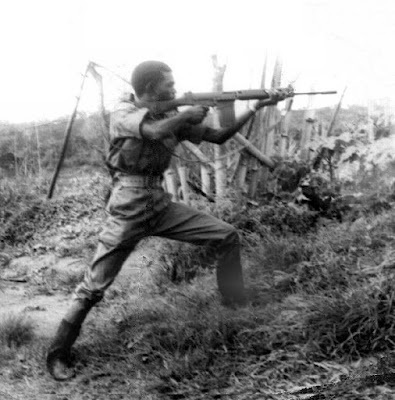 The Biafrans had been warned in advance that a flight might be coming in that night but were nevertheless surprised to find that the pilot was not one of the now familiar mercenary gunrunners and that he also knew the correct secret communications codes which von Rosen had coaxed out of Hank Warton. After his daring pioneer flight to the Biafran airstrip at Uli on the night of 11/12 of August 1968 von Rosen had been allowed a meeting with senior Biafran commanders and the meeting made a permanent impression upon him. Earlier von Rosen had had an opportunity to inspect a number of small two seat sporting planes manufactured by a small Swedish aircraft manufacturer named Malmö Flyg Indrustri ( En. Malmö Aircraft Industries, abbr. MFI). The aircraft had originally been designed as a very light sporting plane suitable for home assembly by amateur pilots, in short it was what today is called a "Kit Plane". In an attempt to expand their market MFI had produced a military trainer version of the basic MFI-9 sporting aircraft. The resultant MFI-9B turned out to be capable of carrying surprisingly heavy ordinance loads on under wing hard points despite its light construction and not so formidable appearance. The Swedish air force had evaluated a batch of twelve MFI-9B's and rejected them as unsuitable for military service. These 12 aircraft evaluated by the SAF had been placed in storage and were now looking for a buyer. It looked like MFI's gamble on the military market had turned out to be a disaste, but things were about to change. It had occurred to von Rosen that in a "low intensity conflict" small piston engine aircraft, even a featherweight like the MFI-9B, is quite capable of making a difference. This is especially true of operations under primitive conditions in rough terrain. Von Rosen coined (pun not intended) the phrase MiniCOIN based on the military abbreviation COIN for Counter Insurrection for these aircraft. The Nigerian civil war fit the bill perfectly. The Biafrans had exhausted all of the conventional sources in their search for aircraft and were desperate for any kind of an air capability. It was probably their desperation that overcame their initial skepticism when von Rosen approached them with his idea. The MFI-9B had the advantage of being a low profile aircraft type. Although it had been militarized it was widely regarded as a sporting plane and was not likely to show up on the radar screens of international inspectors enforcing non intervention policies. Another andvantage of the MFI-9B its low price, the initial batch of 5 MFI-9B's plus a complete supply of spares, bought under cover provided by the Tanzanian government, cost the Biafrans only $60.000 2) which rose to $140.000 including refitting and initial payments to pilots and technicians. This still left the problem of obtaining armament and military avionics. The avionics problem was quickly solved by purchasing surplus reflector sights from decommissioned SAF J-22 fighters. This left the problem of armament. Precisely how and where the Biafran MFI-9B's acquired their armament is a matter sources do not agree upon. The accepted version of events seems to be that the French, who at the time were at odds with the British and the USA, fitted the armament at an Armée de l'Aire facility out side Paris. It now appears that the role of the French was more limited than that. The French technicians helped change the MFI-9B's electrical system from 24V to 12V, wired the aircraft up for weapons, designed attachment points for armaments and suggested the most sensible warheads for the rockets the MiniCOINs would fire. The armament chosen consisted of two small 68mm 3) six round Matra rocket pods, one fitted to a hard point under each wing. It was also decided to use primarily AP-rockets since it was presumed that the majority of targets would be vehicles and buildings. 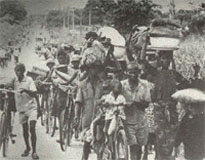 The Minicoins saw extensive service in Biafran service and were very active for much of the war. At first they were flown by Swedish pilots led by Gustav von Rosen but eventually the Swedes left and the majority of the pilots were Biafrans with a sprinkle of foreigners thrown in like the Swede Rune Norgren and the German Friderich Herz as well as some Portuguese mercenaries flying T-6 trainers. In May 1969 the MFI-9B's were shipped to a secret airstrip known as "Camp I" near the Nigerian border with the Republic of Gabun. The aircraft were assembled here, the sights and rocket pods fitted and a second fuel tank replaced the right hand side passenger seat. The final touch was painting the aircraft with in a two tone, random camouflage scheme using a variety of locally available gloss lacquer paints 4). The MFI squadrons pilots were a mixed bunch and included three Swedes: von Rosen, Gunnar Haglund and Martin Lang. The other two pilots were Biafrans: Willy Murray-Bruce and Augustus Opke. After a few test flights and some flying practice the five MFI-9B's were flown into Biafra with a ten minute stopover at the Federal Nigerian airbase at Port Harcourt to announce their presence by rocketing the Nigerian Air Force's (NAF) resident MIG-17F fighter bombler and Il-28 tactical bomber detachments. Both these photos are thought to have been taken at Camp I in Gabun. They show the MiniCOINs before and after repainting. Note how the rocket pod seems to have a bare metal or light gray finish. When the aircraft were repainted the upper part of the rocketpod was painted green. In the original of the photo on the right it is clearly visible that the apron under the engine was painted entirely green while the rest of the fuselage underside immediately behind the apron was left painted in the original white or perhaps repainted light gray. The change-over from white to green is just visible on the edge of the lower fuselage of the aircraft in the foreground above the left rear wheel. The aircraft in the background in the picture on the right also clearly shows that the underside of the wings was also left in white or possibly repainted in light grey. Before even reaching Port Harcourt the Flight had become separated into two groups by bad visibility, a leading group of three (von Rosen, Haglund and Lang) and a trailing group of two aircraft (Murray-Bruce and Opke) respectively. Of these only 4 aircraft, the three of the leading group and only one aircraft of the trailing group actually attacked Port Harcourt. The attack on Port Harcourt caught the NAF literally with its pants down. The NAF personnel at the airbase as well as the British, South African and Egyptian mercenaries that flew the MIGs and Ilyushins had become complacent in the absence of any Biafran airborne opposition. The chaos and confusion on the ground must have been complete as NAF personnel, mercenary pilots and ground crews rushed to either scramble their aircraft or simply scurry for cover. In a matter of minutes the control tower, a hangar and numerous aircraft were rocketed by the three Swedish pilots followed minutes later by Augustus Okpe All five MFI-9B's later landed at an airstrip in the Baifran bush known only as Camp II where they remained undetected by the NAF which sent its MIG 17s to scour the area like angry hornets in search of the insolent Biafran attackers but without success. The extent of the damage caused by this raid is not completely clear. The MFI pilots claimed to have damaged two MIG 17F's and an Il-28. It is known that one MIG 17F (Nigerian Air Force serial, NAF620) was written off completely. As for the other MIG and the Il-28 these probably only received slight damage and were repairable. The claim that 250 Nigerian troops were killed is certainly an exaggeration. Von Rosen and his men naturally wanted to make the most of the confusion their appearance had generated within the NAF. The next objective was therefore to attack the NAF detachment at Benin airbase. This time only four of the MFI's attacked flown by von Rosen, Haglund, Lang and Okpe. Once again the NAF was caught completely off guard and this despite the fact that the raid did not go according to plan. . Martin Lang dived on a Flak position near the airfield boundary and rocketed it before expending the remainder of this rockets to trash the control tower. Meanwhile von Rosen had been forced to abort by an electrical malfunction. The raid definitely resulted in some damage to airport facilities while a DC-4 5) and a NAF MIG 17F were reported destroyed. 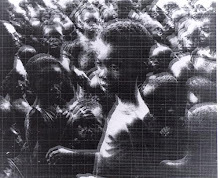 The Il-28 bombers of the Nigerian airforce caused considerable worry and fear among the Biafran civil population. And this although they were relatively ineffective due to the fact that the Egyptians contracted to fly them displayed a distinct lack of any will to put them selves into harms way. It was inevitable that after teaching the NAF's more effective MIG 17F formations a lesson the Il-28 force would be targeted. The Choice of a suitable target among the Il-28 bases fell on Enugu airbase, with Lang, Haglund, Opke and von Rosen participating. Although the Nigerians had prepared them selves by enhancing their FLAK defenses, the attack came as a surprise since the MiniCOINs normal operational altitude rarely exceeded 100 meters which made them hard to spot and the engine noise gave little forewarning. Nevertheless the Nigerians managed a to respond to the attack, Lang's MiniCOIN was hit by small caliber "scrap" fire while a MIG 17 was prepped for takeoff. Unfortunately for the MIG pilot Gunnar Haglund already had the MIG in his sights even as the MIG began its takeoff run and the mercenary was promptly rocketed by the little "kit-plane". Haglund him self was not certain that he had destroyed the BIG 17F since the Jet-fighter was completely obscured in a big dust cloud generated by the impacting rockets. He nevertheless thought that that the number of near misses he scored must have inflicted significant damage. The destruction of this MIG like so many claims by the BAF has not been confirmed due to the lack of records. An Il-28 6) was also claimed destroyed in this attack and the terminal building at Enugu airport was damaged. Unfortunately the destruction of the IL-28 also remains unconfirmed due to lack of accessible records. All in all, due to lack of information, assessments of the attack on Enugu range from devastating to more or less ineffective. While the Nigerians had been caught with their pants down by the sudden appearance of an aggressive BAF element they were no fools had not been sitting on their hands since the first attack on their facilities on May 22. Their MIG 17F's had been constantly patrolling, searching for the bush strips from which the MiniCOINs were operating and on this day two MIG's strafed and bombed a MiniCOIN airstrip after a MIG on a recce mission had identified it as a MiniCOIN base. Ten people were killed but no pilots were hurt and no MiniCOINs were destroyed as the Nigerians were to discover to their cost later that day. The raid on Ughelli Powerstation must have been planned already by the time of the MIG attack and now it was decided to ram home the ineffectiveness of the NAF attack on the MiniCOIN base by attacking Ughelli immediately. On the afternoon of the 29th of May for MiniCOINs flown as usually by Lang, Haglund, Opke and von Rosen attacked Ughelly and rocketed it thoroughly enough to put the powerplant out of commission for 3 weeks and keep it at partial output for another 6 months. The three Swedish pilots conducted one more sortie before leaving for Sweden, an abortive attack on Nigerian Army positions near Owerri. From now on and until October 1969 only Augustus Opke and a newly arrived, ex Swedish Airforce pilot, named Rune Norgren were available for MiniCOIN Operations. But the Biafran Airforce was not idle, four more MFI-9B's were acquired from diverse sources through a non existent flying club in Algeria. Some of these aircraft were now used to train a number of Biafrans to fly combat missions. The rest of the new batch of aircraft were flown into Biafra to reinforce the original MiniCOINs. From October 1969 MiniCOIN operations began again with a vengeance. While Rune Norgren had left the BAF the Biafrans graduated from the BAF school in Gabun, Willy Bruce, Augustus Opke and a third pilot known as "Goody" were joined by an ex Luftwaffe pilot named Friedrich Herz who had earlyer been injured while flying an ancient WWII vintage B.25 bomber for the BAF. 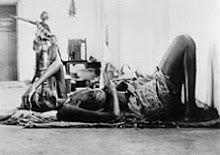 Herz was to remain singularly dedicated to the Biafran cause until the very end. If the Nigerians had begun to believe that their expensive MIG's had put an end to the MiniCOIN threat they were to be sorely disappointed. The attack involved four MiniCOINs flown by Friedrich Herz and four Biafran Pilots: Ibi Brown, Alex Agbufane and a third pilot known as "Benny". The reports of the effects of the attack differ considerably once again. The BAF claimed that the MiniCOINs had destroyed one MIG 17 1), a DC-4, a navigation beacon, numerous vehicles and killed the chief of Nigerias airforce. The destruction of the MIG is unconfirmed and the DC-4 was probably the wreck of the aircraft destroyed in an earlyer attack by von Rosens group. As for the death of the chief of Nigerias airforce I have seen no confirmation of this claim so far. There must however have been considerable damage done in this attack to the airport facilities since the airtraffic controller was badly wounded but still managed to warn an incoming Fokker F.27 of the attack from where he lay bleeding in the ruins of the control tower. The Fokker thus narrowly escaped from being shot up on landing by the MiniCOINs. During the final months before the collapse of Biafra the MiniCOINs remained very active. Important operations included. 20th of October 1969, an attack by by Friedrich Hertz and a number of Biafran MiniCOIN pilots succeeded in destroying a Nigerian transmitter being used to jam radio transmissions of the BAF as well as Church Aid aircraft and Grey Ghost gunrunners. 12th of November, a second attack was mounted on Port Harcourt airbase. Damage claims included 1 DC-6, 1 DC-3 1969, 3 MIG 17s and one Do-27 damaged or destroyed. Details of which aircraft were destroyed and which damaged are not available nor is it possible to confirm from Nigerian records or eyewitness reports what the extent of the damage really was. Sundry attacks on Port facilities, oil tanker ships and oil installations and refineries. 28th of November 1969, an MFI-9B flown by BAF pilot Alex Agbafuna was shot down by "scrapfire/lucky small-arms fire". Agbafuna was shot in the neck and died instantly his aircraft was salvaged and presumably cannibalized for parts. 29th of November 1969, the NAF scored its single victory in its frustrating effort to rot out the pesky MiniCOINs. A MIG17 following a couple of MiniCOINs back after an attack on Nigerian army positions conducted a strafing attack on the Newly landed MiniCOINs. The both of the pilots, Friedrich Hertz and Augustus Opke, escaped but one MiniCOIN exploded. The second MiniCOIN was damaged but later repaired. 4th of January 1970, an MFI-9B flown by BAF pilot Ibi Brown was lost when it flew into a tree while maneuvering to avoid FLAK fire. A Biafran flag painted on the fuselage side sometimes accompanied by a serial applied in red letter behind the cockpit. At least one of these aircraft hat roundels under the wing near the wing tips and the serial applied between the roundel and the rocket pod in black letters. As far as is known no roundels were applied to the upper wing surface. The other version of the national markings was roundels painted on the fuselage side just in front of the tail and probably under the wings in the same location as for markings version No.1. I have yet to see an aircraft marked with roundels only that also had a serial applied to wings or fuselage. As far as is known no roundels were applied to the upper wing surface. Serial sequences were BB-101-5 (probably the first batch of 5) and BB-90x with BB-903, 5 and 9 being known from photographs (probably the second batch of 4 with BB-907 being the missing one). Why the serial numbering of batch 2 began at BB-903 and ran on odd numbers or why the batch prefix of 9 was chosen is unclear. Contemporary press reports however consistently claim that a total of not 9 but 14 MFI-9B were delivered to Biafra. Until someone comes up with photos of two or more new aircraft in the BB-90x range that question will remain open. The MiniCOIN saw surprisingly intensive service with the BAF conducting more than 300 missions in the period from May 1969 and January 1970. As I stated above the Biafran leadership was initially, and understandably, skeptical and only accepted von Rosens seemingly ridiculous plan of using a "kit-plane" in combat out of pure desperation. It is interesting to note that unimpressive as it looked the MFI- 9B was surprisingly effective. Although the destruction of only one NAF MIG 17F can be positively confirmed, that single MIG 17 (serial, NAF 620) probably cost the NAF more money than the entire MFI-9B fleet cost the Biafran government 2). The MiniCOINs initial and most important attacks, due to the NAFs complete lack of preparations for the possibility of being attacked by air, were not as effective as they could have been. The NAF mercenaries who witnessed the initial attacks by von Rosens group and the later efforts by Friedrich Hertz and the other BAF pilots commented on the unprofessional "flying-club" nature of the attacks. These mecenaries also compared the attakcs of the von Rosen group and the BAF pilots attacks unfavorably with later attacks conducted by BAF North American T-6 aircraft flown by veteran ex Portuguese airforce pilots. It is clear that the NAF escaped more serious damage in many BAF attacks because of the lack of experience of BAF pilots (including the von Rosen group) and the limited arsenal of the MiniCOIN. If flown by well trained pilots and fitted with bomb-racks for napalm canisters, fragmentation, "bomblet" dispensers, small bombs, gun pods and an arsenal of rocketpod rounds that included more than just AP warheads but also incendiary, fragmentation and HE warheads the MFI-9B would have been far more effective although it would have needed a more powerful engine. In the event although the BAF pilots were fiercely motivated, aggressive and full of initiative and courage their rudimentary training worked to limit their effectiveness. A MiniCOIN at one of its anonymous bases in the Biafran bush. These strips were very hard to locate without a disproportionately large recconaisance effort. This caused the NAF and its mercenaries great frustration. Their own MIG 17F fighters were tied to a hand full of high grade runways and sophisticated maintenance facilites which made them vulnerable. The Biafran MiniCOINs and their North American T-6 bretheren could be operated for long periods, in the deep bush, out of the back of a lorry. On the positive side the MiniCOIN bases proved to be almost impossible to find since the MiniCOINs could take off from any reasonably flat patch of minimally prepared ground and constantly changed bases. Despite numerous NAF attempts to destroy the MiniCOINs at their bases the only time they succeeded was because a MIG was able to follow a couple of MiniCOINs to their base and the MiniCOIN pilots made the very basic mistake of not "checking their six". In other words lucky circumstance and not clever planning on part of the NAF. The MiniCOINs also proved to be surprisingly immune to Ground fire and when they were hit it was usually 7.62mm or 12.7mm small-arms hits and the damage could usually be fixed with an aluminum patch and some glue. A NAF MIG 17F or Il-28 damaged in a MiniCOIN attack could be out of commission for days and even weeks pending delivery of parts form the Soviet Union and arrival of specialist, military-jet qualified mechanics who unfortunately do not grow on trees in the African bush.. Since the MiniCOINs maximum operational altitude rarely exceeded that of an average cropduster they were almost impossible for larger heavy caliber purpose designed FLAK guns to acquire, at least the none powered, optically aimed guns that equipped the Nigerian FLAK units. The MiniCOINs were also next to impossible to detect by radar or by their engine noise which was fairly low. All in all the NAF's MIG fleet while considerably more technologically sophisticated and flown by quite competent British and South Africean mercenaries was mostly impotent against the MiniCOINs. Moreover since the MIGs were limited to a hand full of specially enhanced bases that did not possess hardened shelters they were quite vulnerable to the virtually undetectable and elusive MiniCOINs. The presence of the MiniCOIN threat had a considerable psychological effect on the Nigerians who beefed up their FLAK defenses, camouflaged aircraft and runways and generally became quite nervous. Transport aircraft were unloaded at a frantic pace and left their engines running in order not to spend a minute longer at any NAF base than they had to. It is indeed quite fortunate for the NAF that the Biafrans never seem to have tried to launch a determined ground commando attack on one of these bases. Such a Biafran attack on Port Harcourt could for example have taken out up to 20-25% of the NAFs MIG and Il-28 fleet and possibly even have caused the capture or killing of many of the mercenaries that flew the aircraft. Critics of this assertion should note that the Cessna A-37 COIN fleet of the airforce of El Salvador escaped such a fate by the skin of its teeth during an attack in November 1989 by Marxist guerillas on Ilopango Air Base airbase, where El Salvador's entire A-37 fleet was based. The SriLankan airforce was not that lucky and lost some of its aircraft in precisely such a guerrilla attack as recently as July 2001 3). The history of the BAF has become one of the strongest arguments in the arsenal of those who argue that countries small or large involved in low intensity conflicts do not necessary require obscenely expensive jet aircraft but could rather be better served by "low-tech" propeller driven aircraft when dealing with insurgents. One should also note that this blade cuts both ways and that a large highly motivated and well funded insurgent movement like the Biafrans could easily cause a government no end of grief with a small fleet of COIN aircraft, or perhaps in that case CounterCOIN aircraft. One final thing to note about the MiniCOIN is that its sucess in combat was largely dependent upon the absence of shoulder launched surface to air missile in the Nigerian asenal. Had such a weapon been available it would have made life much more dangerous for the MiniCOIN pilots even though they hardly ever flew higher than 100m which was quiete close to the minimum operational altitude of missiles like the Redeye and the Strela-2 (SA-7 Grail). NB. As always see the Global Bibliography for books refered to in the comments. 1) Intriguingly enough it has been claimed ("Flugzeug profile No.4") that this newly delivered MIG 17 was radar equipped in which case it was probably a MIG 17PF all-weather interceptor. If this is true destroying this MIG represents a significant success for the BAF. A MIG 17PF would certainly have been bought by the NAF in a bid to intercept the "Grey Ghosts", gunrunning DC-6s and Super Constellations operated jointly by arms dealer Hank Warton and the Biafran Government. These aircraft were the lifeline that sustained the Biafran Armed forces and putting an end to their activities had not proven to be an easy task for the MIG 17F pilots since both the Grey Ghosts and the Red Cross/Church Aid airlift aircraft operated primarily at night. If the Nigerians went through the trouble of acquiring a MIG 17PF it indicates that they intended to resort to considerably more aggressive methods than they had until then by beginning to actively hunt and shoot down the Biafran gunrunners. This would have resulted a number of the Red Cross/Church Aid airlift aircraft being shot down since the Nigerians still had no way of distinguishing the Gray Ghosts from the Aid Aircraft because the Grey Ghosts landed at Uli thoroughly mixed in with the Aid aircraft. 2) To be fair I should point out that I do not know what the exact unit price of the MIG 17F fighters supplied to the NAF by the Soviet Union was. It is however known that the price tag of the Czech built LET L-29 Delphin jet trainers supplied to the NAF by the same source around the same time was $238000. It therefore seems safe to assume that the price tag of even a used a MIG 17F like the ones supplied to the NAF would have been at least that high and probably higher. Two Israeli Aircraft Industries IAI Kfir Jet fighter bombers. One Ukrainian Mikoyan Gurewitsch MIG-27 swing wing, Jet fighter bomber. Three Chinese built K-8 (Karakorum-8) two seat trainers/tactical fighter aircraft. One Mil Mi-8 transport helicopter. One Mil Mi-24 helicopter gun-ship. Additionally the SriLankan Airlines fleet lost two Airbus A-320 airliners damaged another Airbus A-340 was damaged and a second A340 was totally written off along with two Airbus A-330 airliners. The total damage amounted to an estimated $350 million. Very good blog. We are the Good Shepherds Movement please visit our website.